So in between reading books on Waldorf Education, Chick Lit and my magazines...I was reading these books. They are super quick reads, took me one to three days to get through each one and I have really enjoyed them. 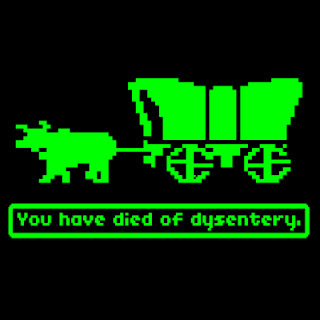 I loved learning about what life was like during the 1800's in the west and the books reminded me of my days of playing Oregon Trail. Did you play that computer game?? Did you know they now have it for Wii or you can go to this site and play the original Apple II version! 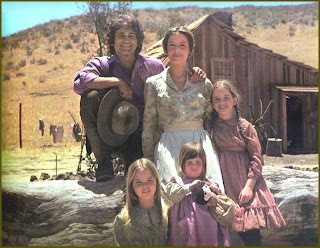 I have one more book left in the "Little House" series and it makes me a little sad. I have even reserved Season One of the Show from the Library to keep this Prairie thing going a little longer. I have loved my time reading about Laura's life....a life that is completely opposite of mine. They faced so many hardships and challenges, and worked so hard from sunrise to sunset. These books (and the show Frontier House) have helped me to realize just how lucky we are today that we have such luxuries as dishwashers, stoves, electric heat, indoor plumbing, grocery stores and even simple things like toilet paper!!! The Pioneer time period is often romanticized about but the truth is that the "simple" life they had back then involved back breaking work and a lot of sacrifice. I am so grateful for what we have today! Great bedtime story reading also. Auntie Kiki's favorite series which she read and re-read growing up. 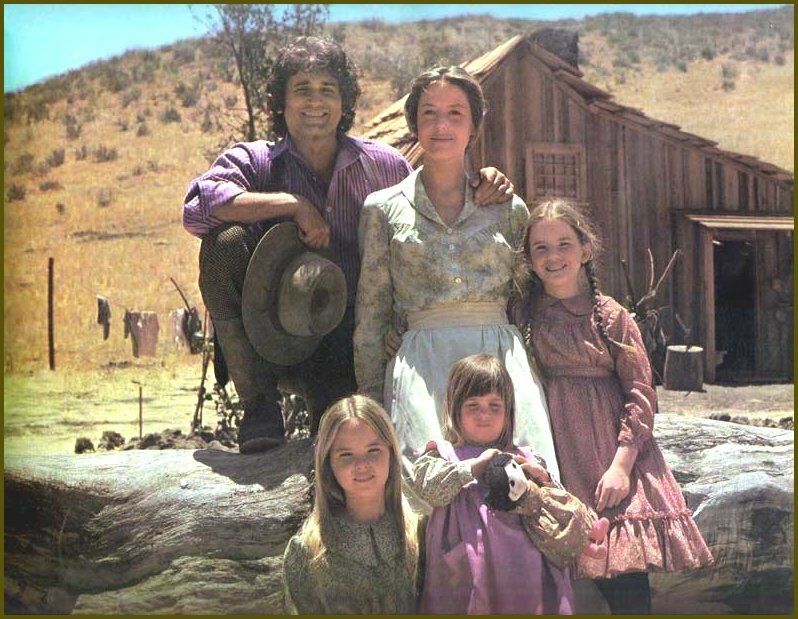 Of course the TV series came out soon after that and then the whole family got into it. Now go down to the stream and start the laundry! Nooooo Waaay!!!! The old Oregon Trail!!!! Awesome. We started the series this month as our summer read aloud. Love it. Thanks for the Frontier House youtube link, I thought we'd missed out on it! I grew up in a smallish town in Northern Colorado and I did read the books and I was OBSESSED with the TV show. 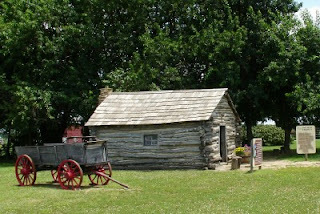 Years later, I lived in a 100 year old house on a ranch near the Wyoming border. I just came across the pictures and I was planning to blog about it soon. You won't believe my little house story!